Teatox Diet: Can You Lose Weight and Detox at the Same Time? If you are trying to lose weight, chances are that you have read or considered just about every weight loss aid out there, including over the counter pills, those “lose weight while you sleep” drinks, and even the ground up skeletons of insects and shellfish, which are marketed as Chitosan. Many people favor an old fashioned remedy known as detox teas or teatox. These are natural, organic, herbal teas made from a variety of roots, leaves, and flowers that are supposed to help remove the toxins that are stopping you from losing weight. You will find a great many testimonials online touting how people felt more energized, were less hungry, and lost weight simply by drinking their teatox. Most detox tea plans have a daytime tea that you drink for breakfast, often a second cup in the afternoon, then a night time tea that will help remove toxins while you sleep. While green tea has been used as a diet aid for quite some time, teatox programs have popped up on internet feeds more frequently over the past 5 years. They were a bit slow to catch on, but once celebs such as Vanessa Hudgens, Hillary Duff, Kylie Jenner, and Lindsey Lohan began talking about their success, teatox sales went through the roof! Most of these programs have 14 day "starter" kits and regular 28 day programs that are said to help you lose bloat, shed a few pounds, and remove dangerous toxins from the body simply by sipping flavored herbal tea! This is an important question. Tea might sound like a harmless way to help manage or lose weight; there are a few things to consider. Some teatox plans might contain ingredients that can interfere or interact with other dietary supplements or even prescription medications. 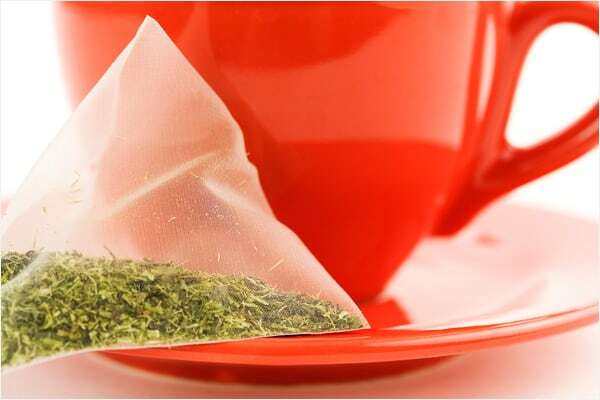 Another factor is that almost every night time teatox contains an herb called senna leaf. This is a laxative which is often used to treat constipation or to clear the bowels before surgery. This is, more than likely, the main cause of “weight loss” when it comes to detox teas. For some people, senna leaf causes severe cramping, stomach pain, and explosive diarrhea. While it is true that your body naturally removes toxins through waste, this seems a bit of an extreme measure for doing so. If you should decide to use a teatox program, never do so without speaking to your doctor first. If you should experience severe diarrhea, you should discontinue the program as you could become severely dehydrated. Will Teatox Help Me Lose Weight? Although many people claim that they lose weight with these teas, we imagine that most of it is simply due to the laxative effect. Without making other changes, the weight will return within a few days. Some testimonials claim that drinking these teas helped them to feel less hungry. Chances are pretty good that it's the water that they are consuming with the tea that is reducing their appetite, rather than any magical ingredient. Numerous studies have found that simply drinking a glass of water about 20 minutes before each meal cuts down on the amount of calories consumed. If you want to rev up your metabolism, drop a few pounds, and allow your body to detox itself naturally (not to mention save some serious $) focus on your diet and exercise. Yes, this isn't anything new and it isn't exciting, but it does work. Studies show that a diet high in fresh produce, low in carbohydrates and sugar, as well as 30 minutes of exercise and a minimum of 7 hours of sleep each night, lead to safe, healthy, gradual weight loss. If you love tea, feel free to drink it! However, relying on expensive teas with questionable ingredients will only leave you, and your wallet, feeling empty.